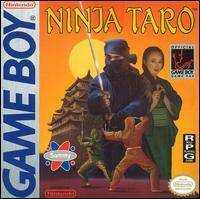 While the NES version of Ninja Taro was cancelled, American Sammy did bring out the Game Boy version. 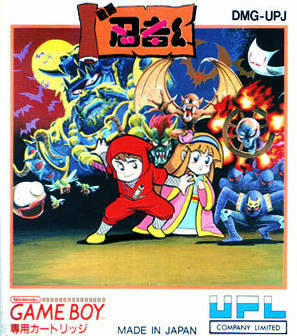 It is a totally different game that borrows a lot from the Legend of Zelda series, and is actually pretty similar to American Sammy’s own Rolan’s Curse. 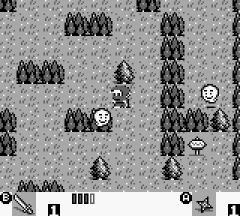 It’s an overhead action-RPG where you need to explore the overworld, run quests for townspeople, find treasure chests to increase your strength, and hunt through caves to destroy boss monsters. 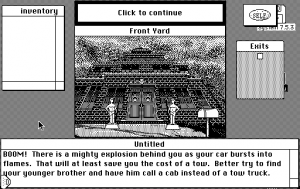 It’s more straightforward than the Zelda games, because there’s no puzzle solving and no currency. Also, most weapons – which include swords, shurikens, fire blasts, bombs and such – are obtained by killing enemies. 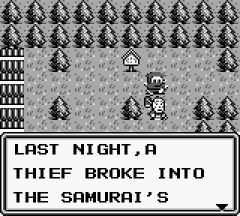 It’s a bit slow moving, and Ninja-kun can barely take any damage before dying, but it’s actually kinda fun for a Game Boy game, even if it can’t compete with Link’s Awakening.